In proof that the reach of the Department of Labor, the FLSA, and immigration laws is greater than you ever thought, this past week, the DOL published its Final Rule on shepherders and other herders of range livestock, including goats. The regulation, the H-2A Herder Final Rule, which incorporated some of the changes supported by industry, applies to the herding of sheep, goats and other livestock on the range and addresses some of the unique issues raised by H-2A visa holders in herding jobs: working in remote locations, being on call 24×7, and more that make setting appropriate minimum wages and regulations more difficult than in other occupations. Under the H-2A temporary agricultural worker program, employers who are unable to hire sufficient domestic workers may bring nonimmigrant foreign workers to the U.S. for temporary or seasonal agricultural work, including herding. Like other H-2 visa classifications, an H-2A sponsoring employer must file an application certifying that a sufficient number of domestic workers are not available and the employment of the foreign H-2A workers will not adversely affect the wages and working conditions of U.S. workers in similar roles (though, in the case of herding, there are very few U.S. workers to adversely affect). Under the H-2A program, employers must comply with a number of recruitment, wages, housing, meals, and transportation requirements. The new H-2A Herder Final Rule creates a single regulation covering all jobs related to herding or production of livestock on the range and responds to a federal court decision in Mendoza v. Perez. In that case, the D.C. 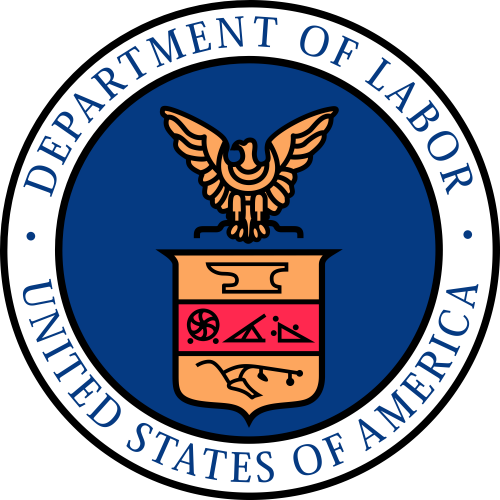 Circuit had decided that two DOL Training and Employment Guidance Letters (TEGLs) providing special procedures for certain H-2A visa foreign agricultural worker certification acted as an unlawful substantive rulemaking that altered the wages and working conditions employers are required to offer sheepherders (and others) and the availability of such jobs to American shepherds. As in other cases, the line between substantive rules and interpretive or procedural guidance is not a bright one, if it is a line at all, but the DOL appears to have followed the proper rulemaking process the second time around. Under the Final Rule, employers must pay a wage that equals or exceeds the highest of a monthly pay rate (the Adverse Effect Wage Rate published by the department), a collective bargaining agreement wage, or an applicable minimum wage set by court or law. Under the rule, the monthly pay rate for all range occupations will use the federal minimum wage of $7.25 per hour and a 48-hour workweek. Starting in 2017, the monthly pay rate will be adjusted annually based on the Employment Cost Index calculated by the Bureau of Labor Statistics. The Final Rule also allows for a two-year transition to the new pay methodology, with full implementation beginning in 2018. The DOL’s earlier proposal would have nearly tripled this minimum wage floor, leading to outcry from farms and ranches. The Final Rule also establishes specific standards for heated housing, adequate free food, and potable water. The Final Rule was published in the Federal Register on October 16 and will take effect after 30 days barring any unexpected last minute challenges.